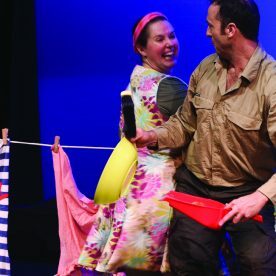 OOSH and vacation care groups please download a booking form. 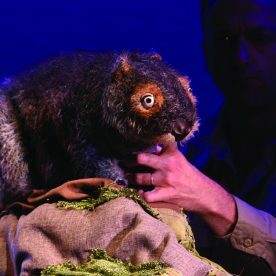 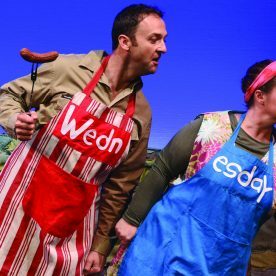 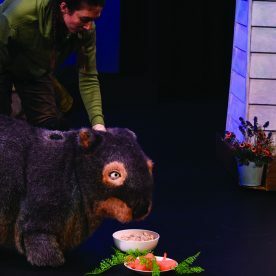 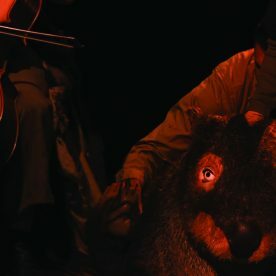 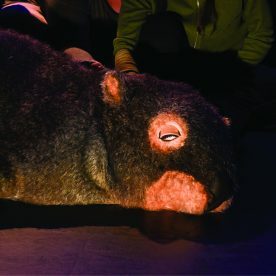 After a mammoth 59 venue tour across Australia and a showcase at the International Performing Arts for Youth (IPAY) showcase in Philadelphia, Diary of a Wombat will return home to the Lend Lease Darling Quarter Theatre for a very limited season in the July school holidays. 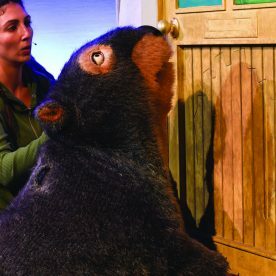 Millions of young people around the world have adored the multi award-winning picture book, Diary of a Wombat by Australian Children’s Laureate (2014/15), Jackie French and Bruce Whatley. 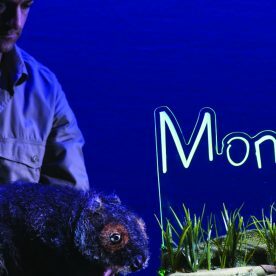 Monkey Baa Director, Eva Di Cesare and a team of revered artists including Puppetry and Movement Director, Alice Osborne (War Horse 2012/13), Designer Imogen Ross (Hitler’s Daughter) and accomplished composer/cellist, Oonagh Sherrard use the magic of puppetry and live music to bring this delightful story for ages 3+ to the stage.